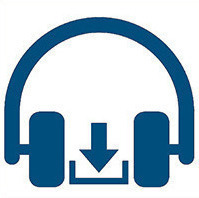 NASFAA's "Director Download" was a limited-series podcast that gave financial aid administrators insights into the most pressing management and leadership issues. From social media and enrollment management to teleworking and outsourcing office functions, the "Director Download" team helped to give you the knowledge you need to lead the financial aid office and move your career forward. January 2, 2019 - This episode touches on best practices when it comes to using social media professionally and personally. December 17, 2018 - Justin is joined by NASFAA's National Chairs Lori Vedder, Billie Jo Hamilton, and Paula Luff to discuss how and when to make changes in your career. December 3, 2018 - In this episode, the group discusses how financial aid administrators can ensure their voices are heard during campus-wide discussions. November 19, 2018 - The team tackles a topic that invites both excitement and fear around the office - outsourcing. Episode 5: Is Teleworking Right for Your Office? November 5, 2018 - In this episode of “Director Download,” Justin, Beth, Joelle, and special guest Jim White delve into the myths and realities of teleworking. Episode 4: Is Enrollment Management a Friend or Foe to Financial Aid Leadership? October 29, 2018 - 2017-18 National Chair Billie Jo Hamilton and National Chair-Elect Paula Luff join Justin and Allie for a discussion on how enrollment management is impacting the financial aid world. Episode 3: A Hug or a Handshake? October 15, 2018 - The group discusses how to manage professional relationships, maintain a healthy and safe workplace culture, and how to identify and navigate tricky situations when it comes to personal space and appropriate communication. September 24, 2018 - In the second episode of Director Download, the team discuss an eternal issue leaders face everyday — finding a fulfilling work-life balance and helping to instill a healthy work culture at the office. Episode 1: Are You a Manager or a Leader? September 10, 2018 - Justin, Beth, Allie, and special guest Ron Day kick off a new podcast focused on many pivotal issues that will be addressed at NASFAA's Leadership & Legislative Conference & Expo.